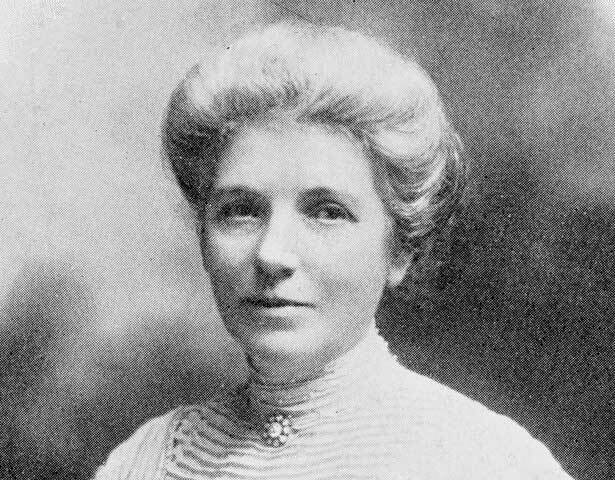 Kate Sheppard was the leading light of the New Zealand women’s suffrage movement. In recent years her contribution to New Zealand’s identity has been acknowledged on the $10 note and a commemorative stamp. Sheppard travelled the country, writing to newspapers, holding public meetings and lobbying members of Parliament. Opposition was fierce. As Wellington resident Henry Wright wrote, women were ‘recommended to go home, look after their children, cook their husbands’ dinners, empty the slops, and generally attend to the domestic affairs for which Nature designed them’; they should give up ‘meddling in masculine concerns of which they are profoundly ignorant’. In 1893 Kate Sheppard and her fellow suffragists gathered the signatures of nearly 32,000 women to demonstrate the groundswell of support for their cause. A 270-m-long petition – then the largest ever presented to Parliament – was unrolled across the chamber of the House with dramatic effect. Despite the opposition of Premier Richard Seddon, the Electoral Act 1893 was passed by both houses of Parliament and became law on 19 September. The news took New Zealand by storm and inspired suffrage movements all over the world. Kate Sheppard continued to work at home and abroad for women’s rights – from contraception to freedom from the corset. She became president of the National Council of Women of New Zealand (NCW) and editor of The White Ribbon, the first newspaper in New Zealand to be owned, managed and published solely by women. In 1909 she was elected honorary vice-president of the International Council of Women. Sheppard outlived two husbands, her only son, and her only grandchild. She died on 13 July 1934, a year after the first woman MP, Labour’s Elizabeth McCombs, entered Parliament. We have 4 events in history, 15 biographies, 5 articles, 1 comment related to Kate Sheppard.